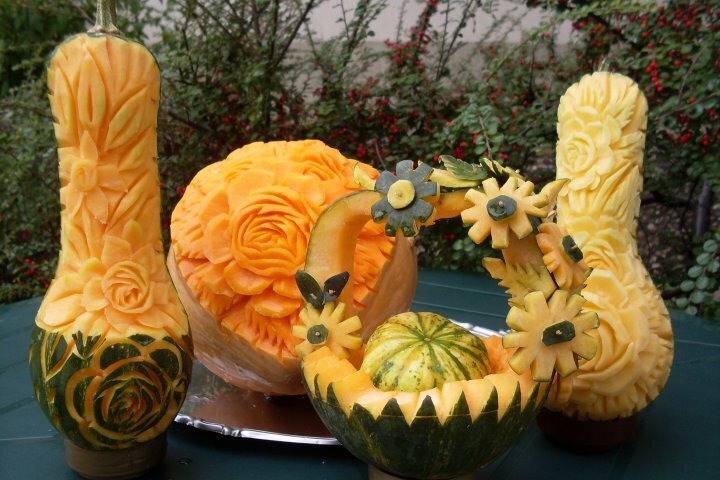 Here are some Wonderful Fruit Carving Videos by Songkram. I will not waste much time writing about them as the videos are themselves so captivating that you will love them and keep wanting for more! This was a wonderful Rose Carving with Radish along with other carvings shown later on! Fantastic Carving with Beet Root. Another collection of his carvings in this video. As promised I got you a few of these wonderful videos , and will be back with some more great works from other artists. 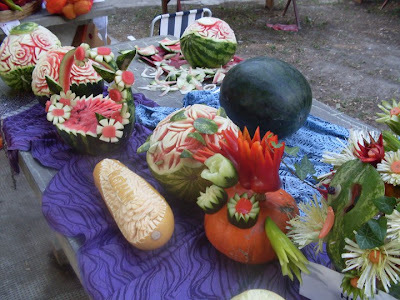 Welcome to Thailand, the home of Kae Sa Luk—the Thai term for the centuries old art of fruit and vegetable carving. Originally developed to enhance food presentation in the Royal Thai courts, this art has now gained acceptance in modern day culinary circles. 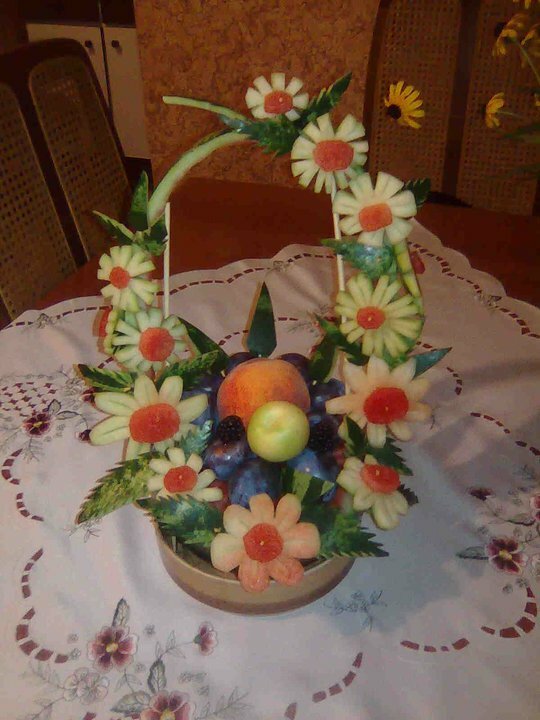 BOOKING & PAYMENT: When booking a fruit carving class, please use their “BOOKING” page, and indicate “Fruit Carving” class in the comments area. Normally, a 50% deposit is required when booking for Fruit Carving classes. This deposit can be made by using PayPal. 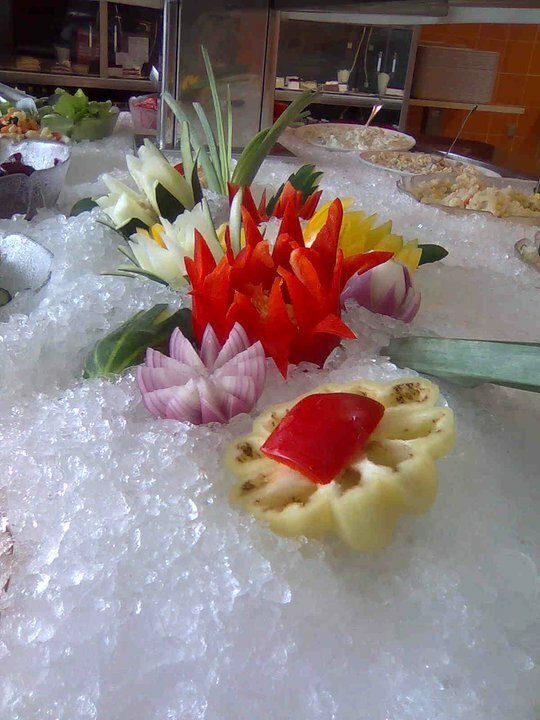 If you wish to book for a Fruit Carving class, just indicate in your booking, and we will send you the link with which to effect payment. Balance of the amount due is to be paid in Thai baht upon the completion of your class. SCHEDULING FLEXIBILITY: Pick the class(es) you want to learn and the day(s) you wish to take them. All classes are available everyday of the week (Monday-Saturday). FOOD CARVING TOOLS: We provide all food carving tools and supplies. 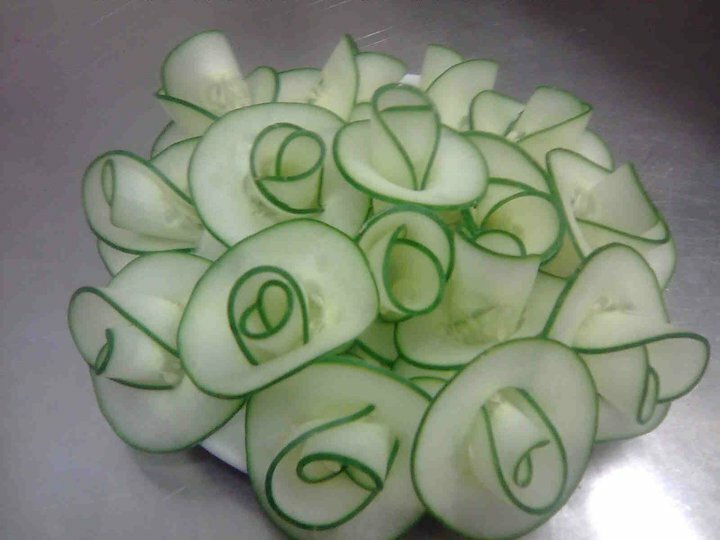 For those taking 2 or more food carving classes, we provide free to the student a food carving knife. 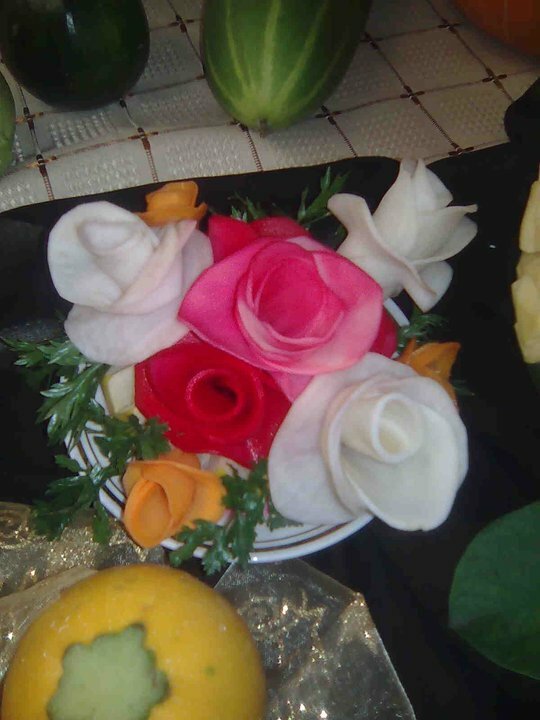 CERTIFICATE OF ACHIEVEMENT: A pictured Certificate of Achievement is provided to those completing 3 or more fruit carving classes. Check out this site and I am sure you will take best advantage of this class! All the best. 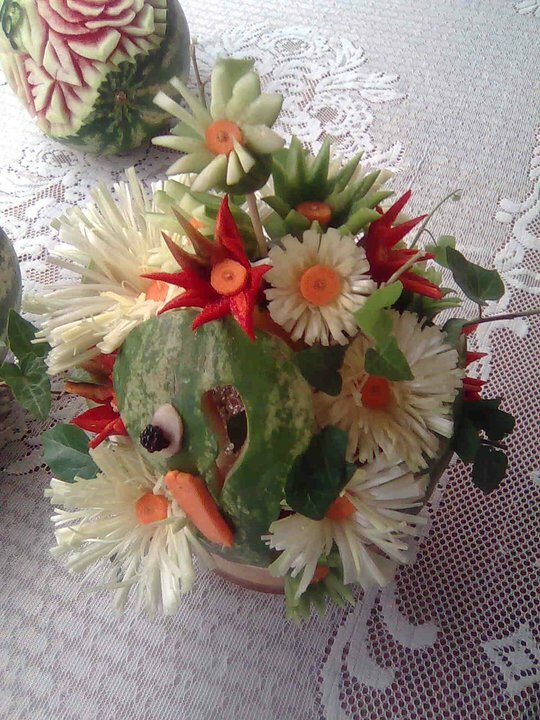 Continuing on my effort to bring to you all the best of Vegetable and Fruit Carvings, I was amazed at the wonderful carvings which Pavel posted recently. As you are all aware Pavel Hrcan is one of my favorite Artists, and I have been constantly trying to post the best of the carvings by various artists on this blog. Extremely sorry for the long gap due to my own sickness, as I was unwell and also am undergoing Training as well as Certification in Six Sigma and will be a Certified Black Belt shortly. Well, reasons apart, I could not stay away from my love for blogging, especially on my most favorite subject of Vegetable and Fruit Carvings!. As usual I was glancing through Facebook and found some of the best carvings i have seen from Pavel Hrcan and just couldn't stop posting them here for you all. 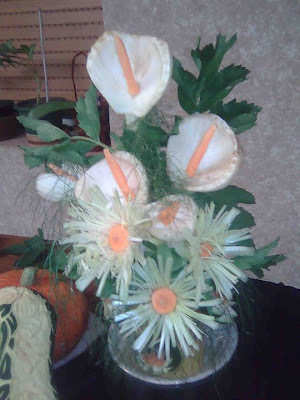 I am sure you will like them as much as I do. 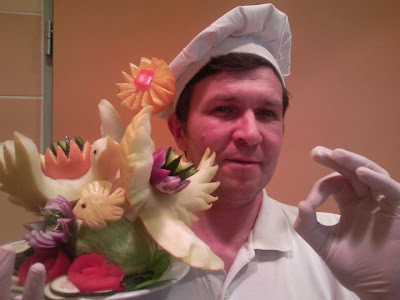 Well if you need any more information about Pavel Hrcan and his work, feel free to visit his profile at Pavel Hrcan. Enjoy these work of art, while I go out and collect more of them for you. Yes Pavel You are the Best so let it keep coming! We never Tire watching your Work! I never tire watching these wonderful work of art from Pavel, and I am sure you too would not. So here I am off to get some more of such wonderful works of art from other artists as well. Enjoy!